An elite Group 1 galloper at his best, winning the 2011 Mackinnon Stakes before running second in the same race the subsequent year, Blue Gum Farm’s resident stallion Glass Harmonium’s was incredibly talented, despite a headstrong attitude. But the bullish racehorse has now turned into a stallion full of personality, with stud owner Phillip Campbell quick to point out that his wilful characteristics have endeared him to the staff. “He’s an interesting horse to be associated with. He’s not straight forward, that’s for sure. He’s got some funny idiosyncrasies that he had at the race track, and they continue here at the farm, but he’s a real personality. We really like the horse,” Campbell said. However, unfortunate fertility issues have made for slow progress for the promising Blue Gum Farm stallion. “He only has one testicle, which has made breeding from him a delicate process. He does get mares in foal, but we have to treat him differently in the breeding shed. Every Glass Harmonium pregnancy is a bonus and we cheer loudly when it happens,” Campbell said. However, with only 13 to the track, for five winners, Campbell said the quality is certainly there, and things could be on the up for the striking grey stallion. 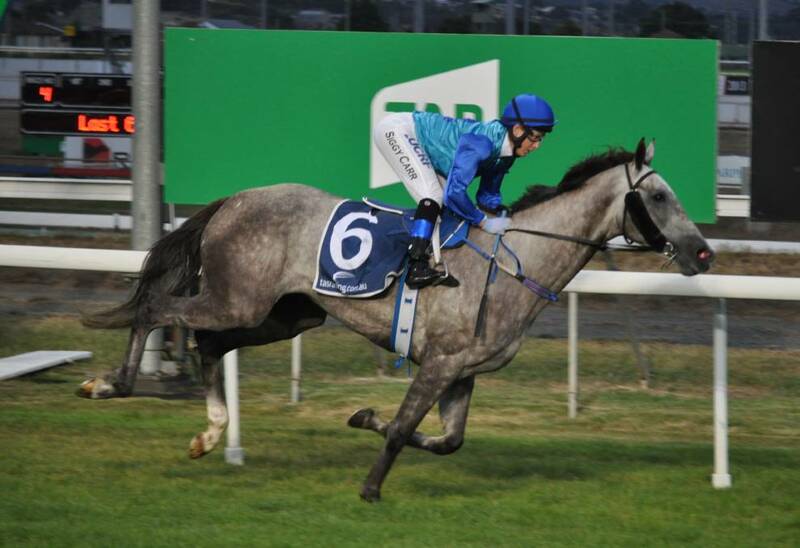 As shown by the talented filly Glass Warrior, who broke through to become Glass Harmonium’s first stakes-winner in the Listed Launceston Guineas. Having her ninth start, Glass Warrior unleashed a powerful burst at the top of the straight and powered to a five-length victory which has her as one of the leading local hopes for the Listed Tasmanian Oaks at Launceston on February 24. “He gets a great style of horse and they’ve sold very well. We’ve got some nice horses this year that are going to the Melbourne Gold Yearling Sale, and hopefully Glass Warrior’s win is a sign of things to come,” Campbell said. Glass Warrior, trained by John Blacker, was bred and is raced by Tasmanian Mandy Gunn, who has raced Banca Mo (Tough Speed) and Mandela Effect (Turffontein) in recent years. “She’d only broken her maiden the start before, but as they have got her out to a further trip, she seems to be coming into her own. There was an odds-on pop in the race who punctured at the top of the straight and gee whiz, she was full of steam all the way to the line,” Campbell said. Campbell was also pleased for Gunn, who has been a terrific supporter of Blue Gum. “Mandy has a great relationship with Chris Kent here at our farm. Mandy sends a number of mares to us for the season. She’s a shareholder in Turffontein and she uses all the stallions here at Blue Gum and she sends mares over to us to walk out to other stallions,” he said. NEXT POST: Written Tycoon flies the flag for Victoria across the ditch!